Things you need to bring: Pa Fishing license available online at the PA Fish and Boat Commision Web Site. Sunscreen, Wading shoes or sandles if you wish to wade at some point during the trip - Lunch, snacks, and beverage of your choice for full day trips. Cancellations: Deposits are refundable if a cancellation is made 14 days prior to trip. Any bookings or cancellations within 14 days are non refundable and up to guides discretion if a refund would be given. Any cancellation made by the guide due to bad conditions or inclimate weather is refundable, or another trip may be scheduled for another day. Susquehanna Fly & Spin Guide Service is your best choice for a productive, fun-filled day of fishing on the Susquehanna River in Harrisburg, PA. Whether you are a novice looking for guidance on your first cast, or an experienced angler looking to improve your technique and expand your knowledge, I can help you achieve your goals. I will provide you with professional equipment, and casting instruction. 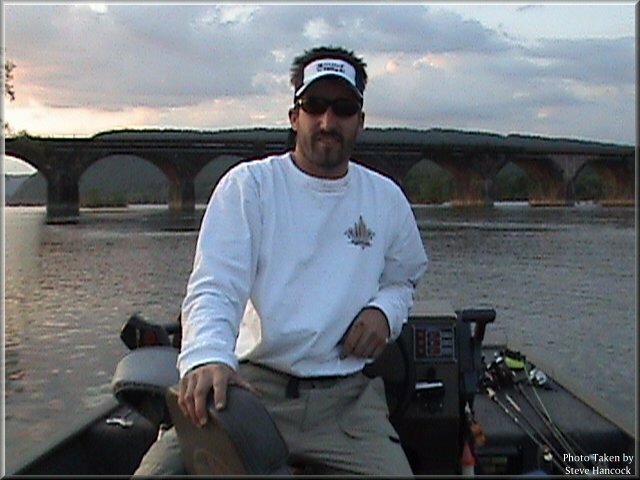 * Contributing Writer for "Susquehanna Fishing Magazine"